My new best friend comforts me when I feel sad, encourages me when I feel frustrated, and is happy for me when I'm having fun. When people we care about are having a hard time, we usually treat them with kindness and understanding—yet when we are the ones having a hard time, we are often quick to be unkind. We may get angry and impatient with ourselves, even calling ourselves nasty names. 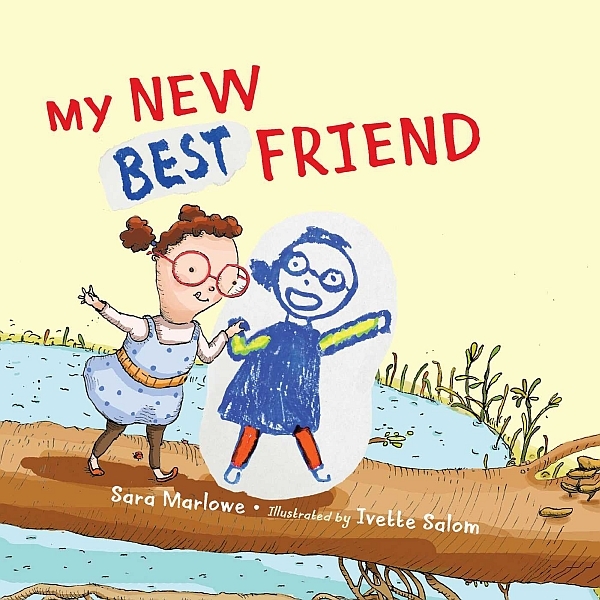 My New Best Friend invites children to break free of this pattern of “inner bullying,” helping them treat themselves with kindness and understanding—laying the groundwork for emotional resilience, self-compassion, and positive self-esteem. Sara Marlowe is a clinical social worker, university lecturer and musician who has developed a mindfulness program for children and families that utilizes art, music, movement, and narrative-therapy ideas and is deeply informed by the neuroscience of mindfulness. She lives in Toronto with her partner, son, daughter and ginger cat. She lives in Toronto, Canada. Ivette Salom is a professional illustrator. She earned her MFA at the School of the Museum of Fine Arts in Boston, MA. She has illustrated and authored a number of children's books and has provided illustrations for The New York Times and The Miami Herald, among others. She lives in Portland, OR.